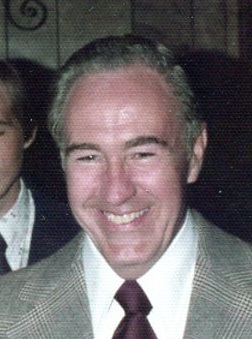 John Robert Killmon, Sr. (Jack), 90, of Laurel, MD passed away after a full life on March 20, 2019. He was born on January 9, 1929, to John Cooper Killmon and Josephine Elizabeth Croggon Killmon in Washington, DC. Jack was a member of the Teamsters Union Local (formerly Graphic Communications Union) and the Laurel Moose Lodge. Jack started working at the age of 16 at Graphic Arts Printing, where he completed his Pressman Apprenticeship and became a Journeyman Pressman; he then worked at McArdle’s Printing for a combined total of 20 years. He retired from the Government Publication Office (GPO - formerly Government Printing Office) in 1985 after 19 years of Federal service. Jack enjoyed spending time with his family, travelling, camping, barbequing, fishing, roller skating, and hanging out with his printing buddies. Jack is survived by his beloved wife of nearly 69 years, Elizabeth (Betty); sons John, Jr., Thomas (Kathy), and Joseph; and daughters Karen Killmon-Doucet (Dean Doucet), and Lou Ann Killmon Wingo; grandsons Donald Antoine, Lucas Doucet, and Jeremy Killmon and granddaughters Melinda Pulley (Rocky), Nicole Taurone, and Kristin Killmon; and great-grandchildren Kayleigh and Derek Pulley. He was preceded in death by his parents and his sister, Edna Killmon Wootten. Viewings will be held on Wednesday, March 27, 2019 from 2 to 4 and 6 to 8 at the Donaldson Funeral Home, 313 Talbott Avenue, Laurel, MD. Funeral mass will be held on Thursday, March 28, 2019 at noon at St. Mary of the Mills Catholic Church, 114 St. Mary’s Place, Laurel, MD. Interment will be at Meadowridge Memorial Park, 7250 Washington Blvd., Elkridge, MD. Memorial donations may be made in Jack’s name to the American Heart Association or the Alzheimer’s Association.